If you’re new to SEO, you may wonder why everyone keeps talking about pandas, penguins and hummingbirds. This exotic line-up of creatures are, in fact, the names given to major updates to Google's ranking algorithm. But what is the Google algorithm and what do you need to know about it? In a basic sense, an algorithm is a list of rules to follow in order to solve a problem. And Google uses algorithms in this same way. Every time you type something into the Google search engine, their algorithm crawls and indexes the vast amount of information on the web to present you with the most relevant content. As a content marketer, it helps to understand the algorithm so that you can increase your chances of getting your content found by people searching for what you do. Now when the guys at Google aren’t busy eating free lobster and napping in sleep pods, they are busy tweaking their algorithm. Each year, Google is reported to update it around 500 to 600 times. Mostly they are small changes, but occasionally they will roll out a major update. And these major updates have a significant effect on search results. Here’s a basic summary of some of the key algorithm updates, so that when someone next mentions ‘Panda’ or ‘Hummingbird’, you have some idea what they are talking about. The purpose behind the Google Panda update was to bring high-quality content to the forefront and filter out low-quality content. According to Google’s updated Quality Rater Guidelines, low-quality pages are those with either not enough main content to satisfy the reader or those where the content creator lacks expertise in the topic. Panda will also filter out duplicate content. This can happen when you have multiple pages on your website containing the same text or minimal variation. Tip: Check your site regularly for content duplication and thin content. Tools like SEMRush are useful for this. Google Penguin focused on improving the user experience by looking at the quality of the links within websites. In particular, it targeted two specific areas: link schemes and keyword stuffing. Link schemes refer to backlinks from low-quality or unrelated websites. They create a false picture of popularity and relevance in an attempt to trick Google into giving the page a higher ranking. An example would be if you were to add comments on forums or unrelated third-party articles linking to your website as the “best manufacturing company in the country”. Keyword stuffing simply means ‘stuffing’ a webpage with large numbers of keywords or repetitive keywords to make it appear more relevant to specific search phrases. Tip: Check your backlinks - a tool like Moz can help you here. And while it certainly pays to optimise your web content with keywords, only use them when it feels natural. While Panda and Penguin were updates, Hummingbird was a complete rework of the entire algorithm. It was introduced to help Google better understand user search queries so they could present them with content that more accurately matched their intent. 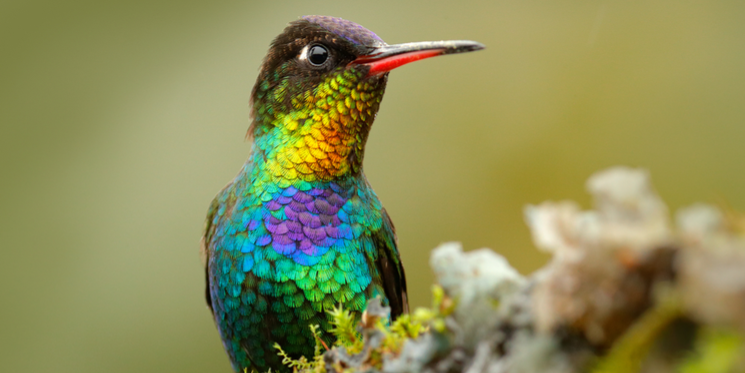 Many SEO professionals see Hummingbird as the start of Google’s switch from a keyword to a topic focus. Tip: If you haven’t already, it’s time to familiarise yourself with topic clusters. You can learn more by reading this blog post. Pigeon is all about location. It was designed to help improve the user experience when searching for something in a specific location. Tip: Creating content that associates your business with a specific location will strengthen your authority as a resource in that area. What, no animal name? This one may seem pretty boring in comparison to those listed so far. But from a mobile user perspective, it’s pretty brilliant. Google’s mobile update was designed to ensure that when searching on mobile, helpfully, the most mobile-friendly pages rank at the top. Tip: Check out this handy tool from Google to see how mobile-friendly your web pages are. Part of Google’s Hummingbird algorithm, RankBrain uses machine learning technology to deliver more accurate search results based on user intent. Tip: Ensure you clearly state the purpose of the content, who it is written for, and what it should be used to achieve so that machine learning tools can easily uncover the relevance and meaning of your content. This update was never officially confirmed by Google but appears to impact local finder results. Here, the searcher’s location comes in to play. The closer a person is to your business’s address, the more likely they are to see it among local results. However, it also appears that this update boosted the ranking of companies outside the geographical area too. Tip: Make sure you’re using targeted location keywords. Similarly to Google Panda, Fred aims to filter out low-quality or thin content, as well as pages that appear to focus purely on revenue and not users. Tip: Keep an eye out for thin content. And if you use ads, make sure they are coupled with high-quality, relevant information. Just last month Google confirmed a “broad core algorithm update”, nicknamed ‘Medic’ because it seemed to disproportionately impact websites in the health and wellness sector. And back in December of last year, there were whispers of the Maccabees update. While Panda, Penguin and Hummingbird have been the biggest SEO game-changers, Google is updating their algorithm all the time - whether they communicate it or not. For B2B marketers, keeping an eye on Google’s algorithm updates is an essential step in helping you get found by people looking for what you do. Moz and Search Engine Land are useful sources to keep an eye on.